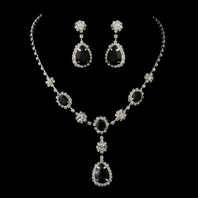 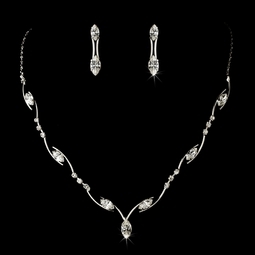 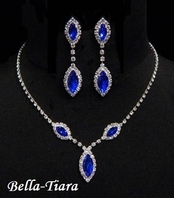 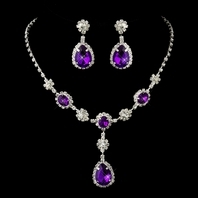 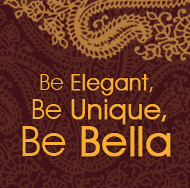 This uniquely segmented necklace and earring set is an exquisite choice for your prom, wedding, or special event. 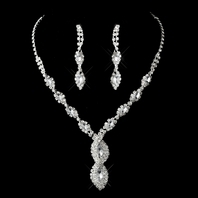 The silver plated necklace is composed of a combination of marquise and round rhinestones, all accenting a stunning v-shaped center. 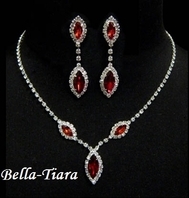 The necklace measures 15" long, with a 3" extender and lobster claw clasp. 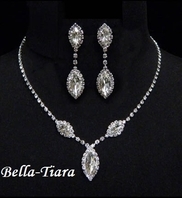 Matching earrings measure 1" long.